Do you need to rehome a Border Collie dog or puppy? Are you thinking about adopting a Border Collie? Dog Rehoming Network is dedicated to finding good homes for pre-loved dogs, and finding great dogs for very good homes. Contact us today at (888) 720-3322 for friendly, empathetic help. 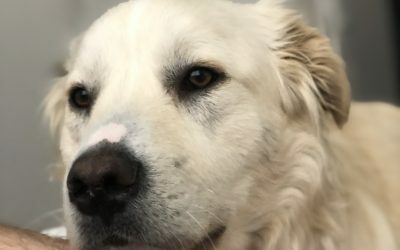 Looking for a Golden Retriever for adoption in San Antonio? 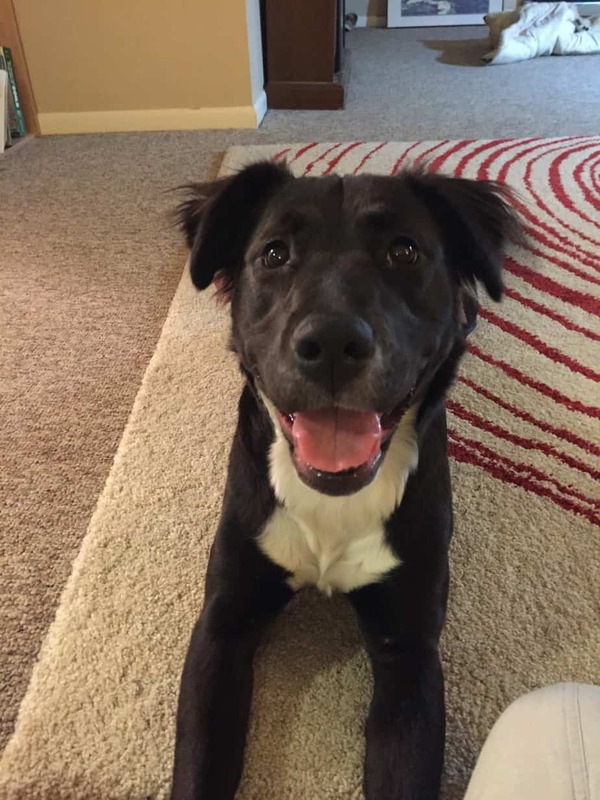 How about adopting a Border Collie? Freddy combines the best of both breeds into one, ultra-cute little gold and white body. He is one of nature’s designer dogs – and they don’t come any ore adorable than Freddy.Freddy is 8 months old and weighs 50 pounds. He is neutered, up to date on shots, crate-trained and very healthy. Freddy is not quite house-trained, but a dog lover with lots of time to spend with him will easily accomplish the task. Freddy is eager-to-please and very smart.Freddy is good with other dogs and loves respectful, gentle children. He is not sure what to make of cats, and is best suited for a cat-free home, unless the cats in question are very dog-friendly. 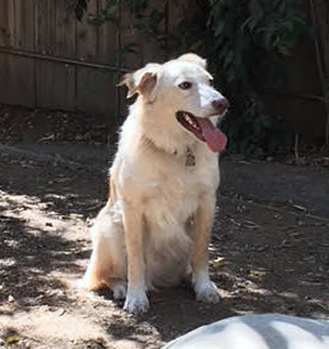 A sweet and handsome Golden Retriever Border Collie dog for adoption in Los Angeles, CA, Boo is a 2 year old, healthy male. Boo is fixed and up to date on shots. He is house broken and gets along well with other dogs and children. 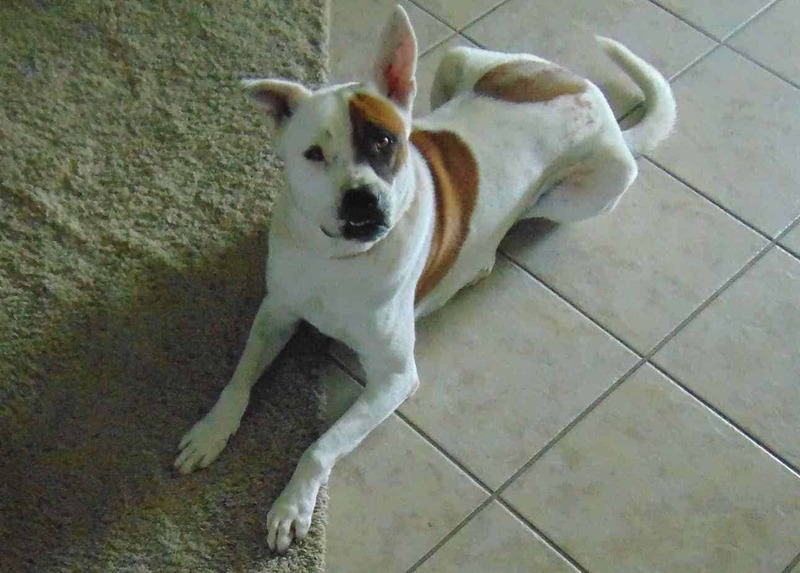 Boo is looking for a loving home with dog owners who are homeowners with a large, securely fenced yard. He is an energetic dog that needs owners who are active and can give him the exercise and playtime he needs to be happy and healthy. 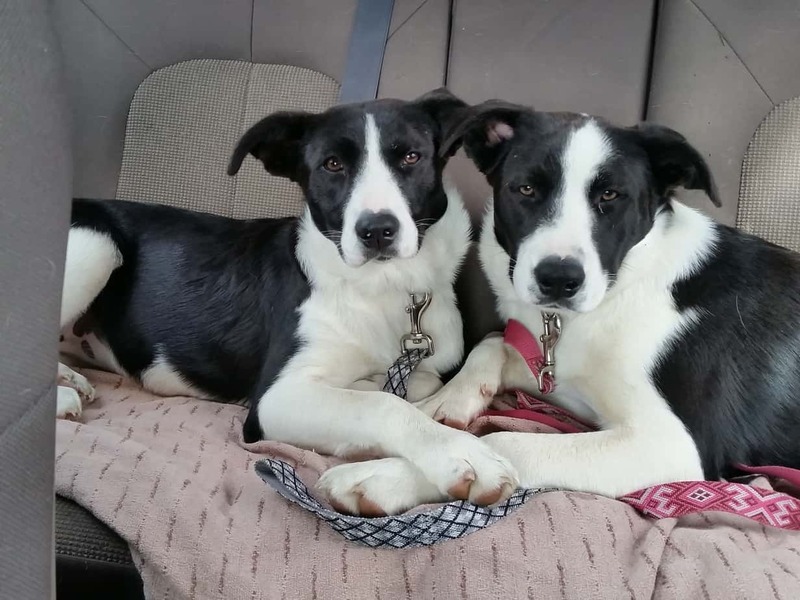 Dolly May and Bandit are a matched pair of Border Collie mix dogs in need of a temporary foster home while their owners work overseas. They are well behaved dogs and are in good health, fixed, up to date on shots and house trained. The owners will supply all food, treats, supplies and vet care needed, as well as offer a $150 monthly gratuity to the foster home. Are you in the difficult situation of having to rehome a Border Collie dog or puppy? We can help! Our dog rehoming team are experts in finding good homes for pre-loved dogs and puppies. We can find your Border Collie a very loving forever home safely and effectively through our proven pet rehoming process. Feel free to contact our dog rehoming team with any questions. 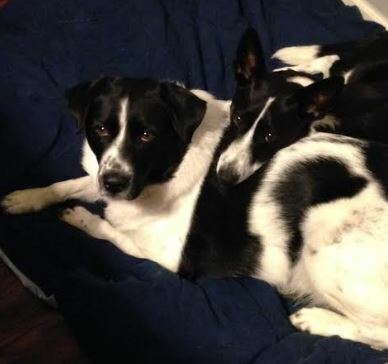 Ready to rehome your Border Collie dog? 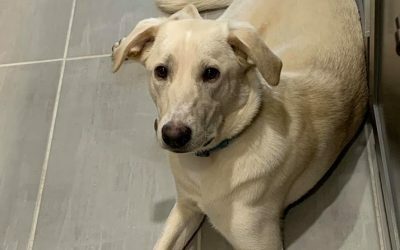 Request dog rehoming services here! Our Border Collie dog breed information resource includes Border Collie history, temperament and personality, appearance, size, lifespan, health, care, grooming, activity level, training and more. 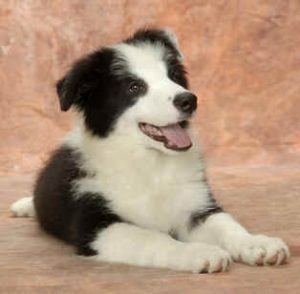 If you are thinking of adopting a Border Collie, check out our Border Collie Adoption listings. Trainability: Very smart and easy to train. Apartment Living: No. Border Collies need lots of exercise and room. Grooming Needs: Moderate. Needs frequent brushing. First introduced to Europe by ancient Romans, the practice of sheep herding required an intelligent and quick dog that was strong and courageous enough to keep the herd in check and yet would not engage in natural predatory actions against the sheep but would, instead, tend to them and guard them with his life. Throughout the years, different types of sheep-herding dogs would crop up across the country, most known simply for their region of origin – Northern and Welsh Sheepdogs, Highland Collies, etc. As his name implies, the Border Collie originated along the borders of Scotland and England, where all sheep herding dogs were simply known as “collie dogs.” For many years, he was known by a variety of names, including the Scotch Sheep Dog, the old-fashioned collie, the working collie, or the farm collie. In 1915, however, James Reid (Secretary of the International Sheep Dog Society of the UK) used the term Border Collie to describe this unique breed. It was a name that would stick and would come to be recognized throughout the world. The Border Collie is most commonly thought to be a medium sized dog, black and white in color and possessing a slightly rough coat. The truth of the matter, however, is that the Scotch Sheep Dog comes in practically every color of the rainbow, including beautiful merle, tricolor and solid shades. While still accepted, all-white Border Collies are generally shied away from, as its a shepherd’s rumor that sheep see all-white collie dogs as fellow sheep and will not respect the dog properly. While his black and white coat might seem a trademark, the breed’s appearance actually plays fiddle second to his ability – In fact, the Border Collie is not penalized in the show ring for things such as scars or broken teeth, like so many other breeds are. These are figured to be part of his job and are to be accepted. The Border Collie has two main coat types, though they are all judged together with no preferential treatment of one over the other. Whether your Border Collie is slick coated or has a rough double coat, he is still acceptable. Additionally, his ears can be fully erect, one may be flopped over, or both of his ears may be floppy. Further leeway is granted when one learns that, while brown eyes are preferred, the Scotch Sheepdog may have blue eyes, green eyes, or odd-eyes where they are different colors. Perhaps the most distinguishing trait of the Border Collie is something known as “the eye.” While much smaller than other collie breeds, the Border makes up for his small stature with a very strong herding skill and an extremely commanding eye. If you’ve ever seen a Border Collie in real life, chances are you’ve seen this intense stare that they will drop into, when they see something of interest – It’s this fanatical intensity that grants the Border Collie an intimidation factor over the sheep and helps to keep the herd in line. The Border Collie is a very quick and intelligent dog, capable of recognizing a small vocabulary of words, as well as reading hand signals and body language. While this extreme intelligence is a definite asset, the Border Collie can also be a bit of a handful; high levels of intelligence tend to lead to more independent personalities and can make them a bit more difficult to train. If you can get passed this, however, these dogs do make loving companions for both the active single adult or the whole family. One thing that is important to note, however, and that’s that these wonderful canines are working dogs that require a great deal of exercise and attention to prevent boredom. Additionally, because they have such a strong herding instinct, many will herd anything, including other dogs, cats, children and cars. Of the many dog breeds, the Border Collie may be the most challenging to entertain. Why? Border Collies tend to be intelligent, lively, and very high strung. They’re always looking for stimulation and challenge. To keep a Border Collie happy, you have to involve them in learning new tasks and skills as well as give them a way to expend their considerable energy. Buy high quality chew toys for your Border collie. Some Border Collies will stay happily occupied with a chew toy for hours, while others become bored of them rather quickly. You’ll have to test your own dog to see how he responds. Don’t make the mistake of buying cheap dog toys that won’t last. Border Collies can destroy a chew toy rather quickly which means you’ll end up spending more money in the long run. One chew toy that seems to hold up well for an enthusiastic dog with a tough jaw is the Nylabone aggressive chewer pacifier. Take your Border Collie on a walk twice a day. Border Collies need more exercise than most dog breeds. One walk per day may not be enough to satisfy their need for exercise. Try walking your dog at a fast pace for thirty minutes twice a day, if possible. This will help to relieve some of his nervous energy. Plus, it will help to keep in you in tip top shape also. Take your Border Collie to dog day care. These facilities are designed to give your dog a day of fun and stimulation by allowing him to exercise and interact with other dogs. Border Collies thrive on this type of interaction. You can drop your Border Collie off on the way to work and pick him up in the afternoon. Even a high spirited, energetic Border Collie tends to be docile after a day at dog day care. Take your Border Collie to your local dog park. This is another way for your dog to expend some excess energy. Once you’ve socialized and trained your Border Collie to interact successfully with other dogs, he can benefit from the opportunity to play with other energetic dogs in a controlled setting. Challenge your Border Collie with games. Entertain your Border Collie dog by hiding treats throughout the house and then show your Border Collie how much fun it is to find them. This kind of mental challenge will keep your Border Collie happy for hours. You can also play a quick game of hide and seek with your dog. This can be as much fun for you as it is for your Border Collie. Give your Border Collie agility training. Attend an agility training class with your dog. Once he learns the moves, you can design an agility course for home use to keep your dog stimulated. Play ball or frisbee with your Border Collie. Border Collies are natural athletes with a frisbee or ball. Spend 20-30 minutes a day throwing the ball or frisbee with your dog. Not only will this release some of his pent up energy, it’ll also help to keep him slim and healthy. Try some of these ideas for entertaining your Border Collie dog and watch your dog’s boredom disappear and the bond between you grow. While your Border Collie puppy may look like he requires a lot of brushing, the truth of the matter is that these wonderful dogs have a very plush double coat, that makes them less prone to shedding than other breeds. Instead, a relaxing grooming with a slicker brush can be performed once a week and will help keep shedding to a minimum. If your Border Collie has floppy ears, be sure to pay close attention to his ears and ensure they don’t get infections and stay nice and clean. Following swims or bathing, always ensure that your Scotch Sheep Dog puppy has dry ears – He’ll thank you for it! The Border Collie’s high intelligence makes training him a snap… when he wants to learn. Border Collies have a tendency to be both highly intelligent and very independent dogs. They are easily distracted by sights and sounds, so it’s important to keep lessons short and entertaining in order to hold his attention. Above and beyond all else, never yell or strike your Border – they have amazing memories and it could affect their learning abilities down the road. Clicker training works very well with the Border Collie, as does an upbeat attitude and lots of positive reinforcement. Is a Border Collie the Right Breed of Dog For You? Border Collies are extremely intelligent. Border Collies consistently are ranked as the most intelligent dog breed. 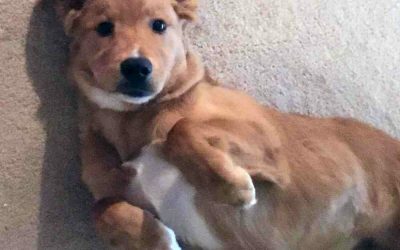 If you want a dog that can take on the challenge of learning complex tricks and tasks, you’ve found it with this breed of dog. Border Collie owners often report that their Border Collie has a significant vocabulary of words they can recognize. Teaching a Border Collie new tricks can be easy. If you enjoy an active lifestyle and have lots of energy, a Border Collie can be an ideal companion. If frisbee throwing is one of your interests or you’d like to get into agility training with your dog, the Border Collie could be a great asset as they tend to have strong skills in these areas. If you like to throw ball, a Border Collie will willingly retrieve the ball until exhausted. Border Collies are medium in size and pretty in appearance. 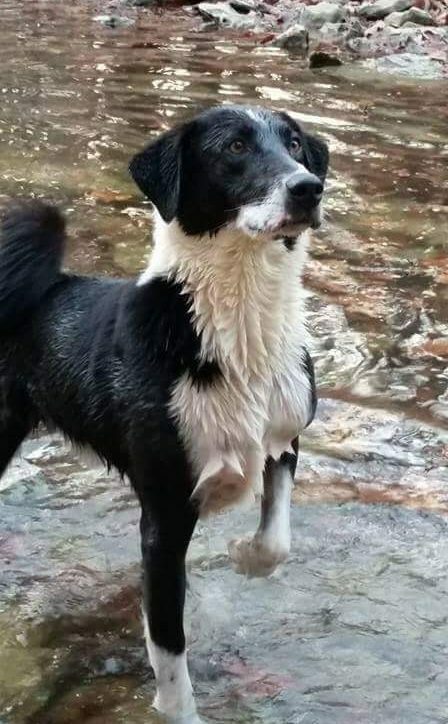 If you want a dog that’s attractive, a Border Collie fits the bill. They’re moderate in size and pretty in a very natural way. Border Collies have long life spans. Border Collies tend to have a slightly longer life span than the average dog breed. It’s not unusual for one to live sixteen years. Border Collies have boundless energy. If you’re not up for frequent physical activity, a Border Collie may not be for you. This breed of dog needs lots of exercise and constant stimulation to be happy. If they aren’t continuously challenged, they can easily become destructive in their boredom. Border Collies need frequent companionship. This is not a breed that likes to be left alone. They are prone to developing symptoms of separation anxiety which can include destructive behavior around the house. If you’re forced to spend most of your days away from home, a Border Collie may not be the most suitable breed for you. Border Collies have a tendency to shed. If you’re concerned about keeping a pristine house, a Border Collie may be problem for you. They do have a tendency to shed and can cover your upholstery and furniture with their soft fur. Training can be a challenge. Although Border Collies are extremely intelligent, they tend to have a mind of their own which can make training a challenge. If they note hesitancy on your part, they may refuse to do what you request and may even attempt to manipulate you to do what they want. It may take considerable patience to train this breed of dog. They have a tendency to herd everything. If you have other small pets or children around the house, a Border Collie may attempt to use his herding instincts on them. This could potentially frighten a child and result in injury. In the hands of the right person, a Border Collie can be a very rewarding companion. Keep these dog breed characteristics in mind before you choose your own Border Collie dog. Adopt or rehome a Border Collie dog or puppy.Pet Rehoming Network finds good homes for pre-loved Dogs, and great dogs for loving homes. Contact our pet rehoming team for more information.